Singapore has been at the centre of the duty-free spirits world of late. 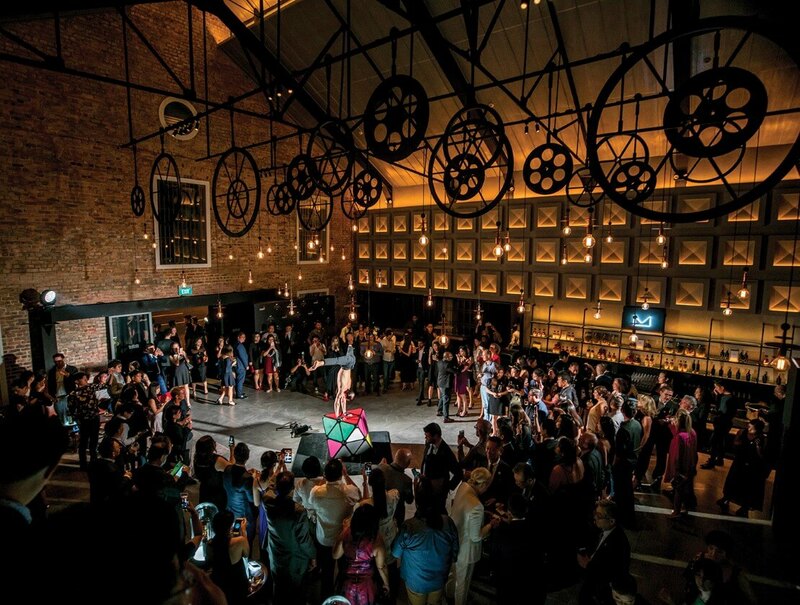 In late March, DFS Group held its annual Masters of Wines & Spirits event in the city’s Warehouse Hotel, a restored heritage building on the banks of the Singapore River. As ever, the two-day VIP event for wealthy Asian customers was a wonderful showcase of some of the world’s most luxurious wines and spirits, which included an incredibly array of exclusive and collectible whiskies. Japanese whiskies have become an essential part of the whisky offer at the annual Masters of Wines & Spirits event, and this year was no exception. A rare Karuizawa 1960 Cask #5627, one of the oldest casks of Japanese whiskies ever bottled, was an undoubted highlight. Achieving legendary status among connoisseurs and collectors, only 41 bottles of the whisky from the now silent distillery were ever released and only one bottle was available at the DFS event. Scotch whisky was also well represented and in the blended segment The John Walker Master’s Edition 50 Years Old stood out from the rest, a blend of six rare whiskies (three malts and three grains) finished in a marrying cask and presented in a stunning black Baccarat crystal decanter and a treasure chest created by cabinetmaker N.E.J. Stevenson. Flying for the flag for Islay were five bottles of Bowmore 1966, full of rich aromatic and tropical flavours and sourced from a single ex-Bourbon hogshead cask. Only 74 bottles were ever made of this rare collector’s item. Glenglassaugh also made an appearance at the event with a five-bottle Single Cask Collection which spans the years from 1972 to 1976. These exceptional vintage casks were discovered when the Highland distillery was reopened in 2008. The bottlings date from 1972, 1973, 1974, 1975 and 1976 and were matured in a mixture of ex-sherry casks, a rum cask, a Madeira cask and a Bourbon barrel. Lush and ripe, these old whiskies are described as delivering notes of “tropical fruit and the sea”, while each cask type imparts its own unique taste influence. Of course, there were many more stunning whiskies at the event, which also featured a masterclass on craftsmanship by The Balvenie malt master, David C. Stewart MBE. The entire 120-strong wine and spirit collection has subsequently gone on display and sale at DFS Group’s shops in Singapore Changi Terminals 2 and 3. In previous years, the collection has also gone on display at other DFS locations worldwide. Singapore also plays host to another important event in the duty-free calendar, the TFWA Asia/Pacific Exhibition, which is held at the Marina Bay Sands Hotel in early May each year. Among the many new whiskies being released at this year’s show was The Dalmore 45 Years Old, a 40% ABV release matured in American white oak ex-Bourbon casks and then transferred into two different vintage Graham’s port pipes dating from 1961 and 1963. Presented in a Baccarat crystal decanter that features the brand’s Royal Stag emblem prominently, the whisky is rich and multi-layered featuring notes of sticky toffee pudding, honey, bitter chocolate, red berries and liquorice on the palate and toffee and citrus notes on the nose. Just 500 bottles of The Dalmore 45 Years Old have been released priced domestically at around $12,500 (£8,900), and several bottles have been allocated to major hub airports worldwide. A new travel retail exclusive collection from Isle of Jura was another whisky highlight of the Singapore show. With prices ranging from around $60 to $110 (£42.70 to 78.30), The Jura Travel Retail Collection comprises four expressions named after some of the geographical features on the Scottish island: The Sound (1-litre), The Road (1-litre), The Loch (70cl) and The Paps 19 Years Old (70cl). All four of the whiskies were matured first in American white oak ex-Bourbon barrels before being finished in hand-selected Pedro Ximenéz sherry casks of increasing age for each of the expressions (15, 20, 30 and 40 years). The resulting whiskies are approachable, subtly smoky, pleasingly sweet, but also increasingly complex and multi-layered as you travel up the range ladder. Whisky lovers travelling from London Heathrow Terminal 5 should seek out this latest exclusive from Loch Lomond at the World Duty Free’s World of Whiskies shop. The exclusive Loch Lomond Inchmurrin Single Cask bottling is a 10-years-old expression taken from a single cask distilled in 2008 using the distillery’s famously straight neck pot stills. The cask yielded just 278 bottles. This non-chill-filtered whisky has a strength of 57.1% ABV and offers sweet vanilla and barley sugar on the palate. The nose is fruity with a hint of spice while the finish has a citrus edge with some mild oakiness too. 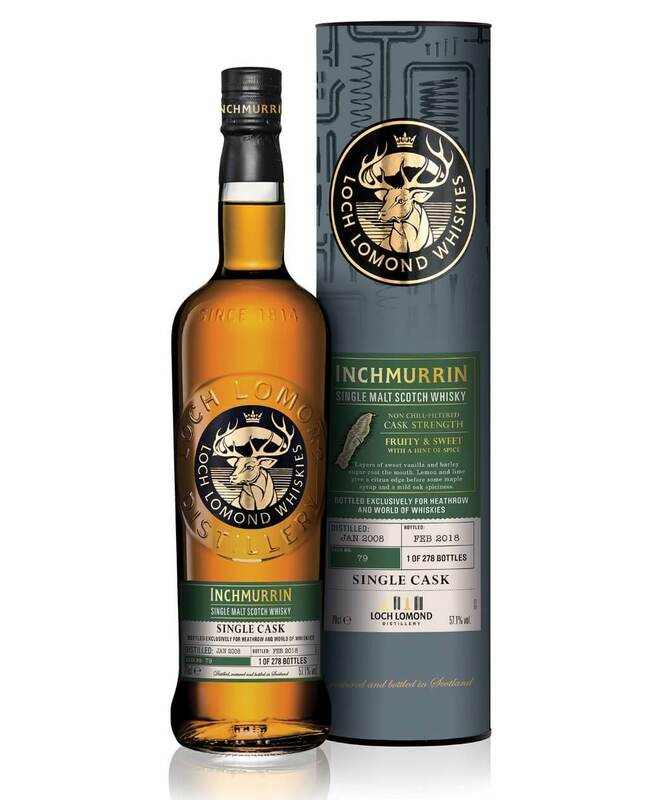 Loch Lomond Inchmurrin Single Cask comes in a 70cl bottle and is priced at £59. This new travel-retail exclusive from the Speyburn Distillery is something of an outlier to the Speyside whisky’s usual sweet and zesty style. 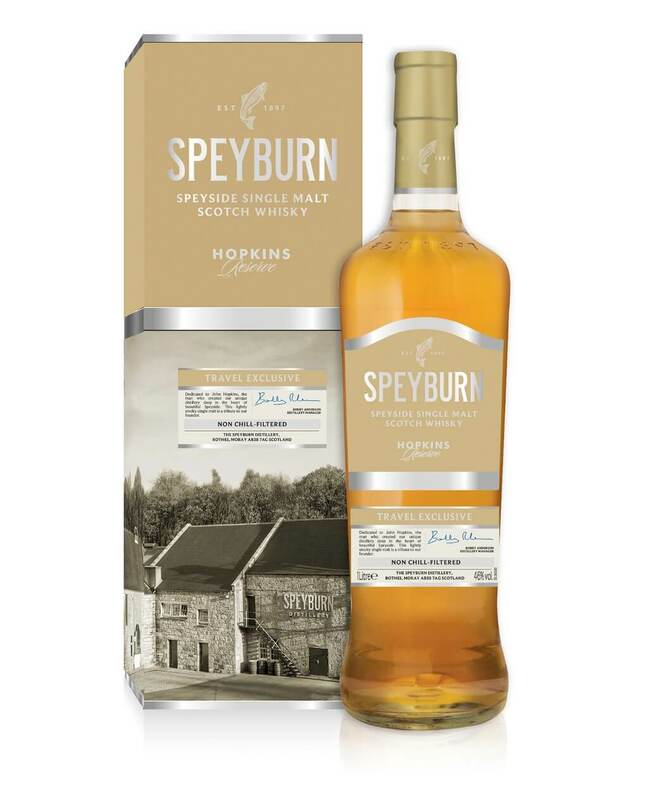 Speyburn Hopkins Reserve is named after the distillery’s founder John Hopkins and is matured in ex-Bourbon casks which have also previously matured peaty whisky. The resulting spirit has a subtle smokiness to the finished flavour, a first for Speyburn. More typically light, citrus notes also feature on the palate and there are pleasing hints of green apple, toffee and lemon in the flavour mix too. Speyburn Hopkins Reserve is non-chill filtered and bottled at 46% ABV. Presented in a gift carton depicting the distillery and the surrounding countryside, this whisky is priced at around €35 (£30.60) for a 70cl bottle.